With their seventh GENUIN release, Germany's youngest elite orchestra, the German Philharmonic Strings under their new principal conductor Wolfgang Hentrich, combines pillars of the repertoire with exciting new discoveries. 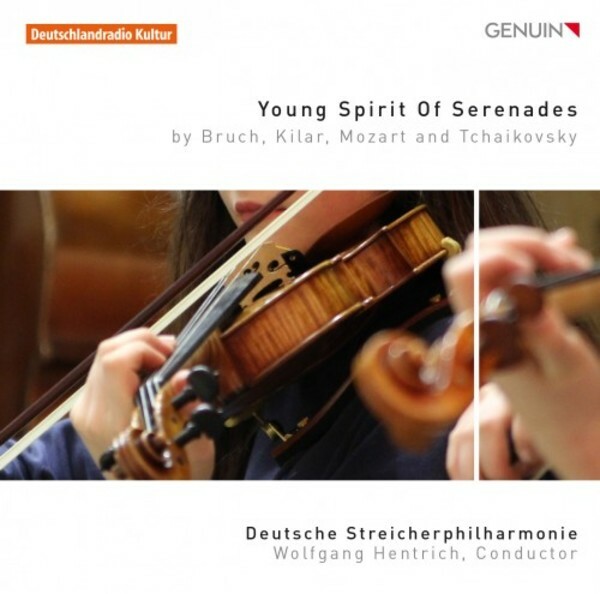 But the young musicians prove that such universally-known pieces as 'Eine kleine Nachtmusik' and Tchaikovsky's Serenade for Strings can be infused with new life and new energy. And whoever is in the mood for travelling can set out on a journey to Sweden with Max Bruch's Serenade, or visit Poland's mountain landscapes with Wojciech Kilar - a true delight for string lovers!